The Tampa Bay Times had an interesting story today about Port Tampa Bay's grand vision to transform the waterfront on the city's east side. A closer look at the plan reveals plans to build two 75-story towers. That's taller than any building in Tampa Bay by a longshot. Towers that tall would have more floors than half of the world's 100 tallest buildings. Towers that tall would have as many floors as Manhattan's second tallest residential tower, One57, where a condo sold in January for $100 million — 15 times more than any condo has ever brought in the Tampa Bay area. 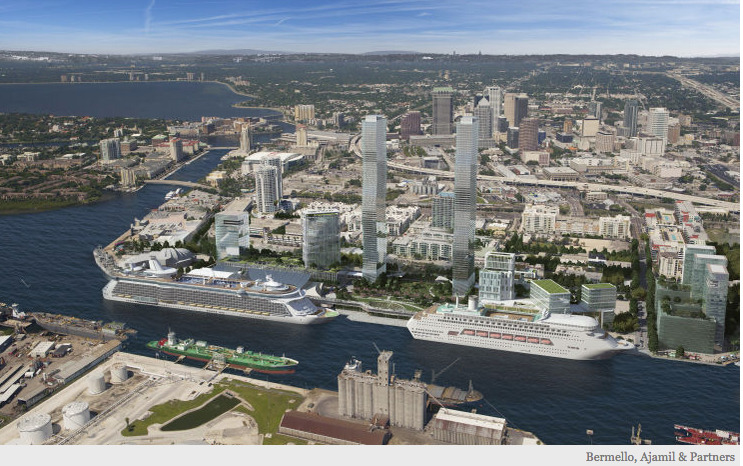 Is one 75-floor tower, let alone two, realistic for Tampa, population 350,000? Great question to ask. But remember, this is a long view plan. And it's one of two major plans for that area. Lightning owner Jeff Vinik also has a bold plan for live/work/play space in the Channelside district that he's committed to. How will it play out? As a 33-year resident of Tampa Bay, I've seen plenty of renaissance projects: Ybor City, Hyde Park (more than once) and downtown St. Petersburg, to name a few. I'm keeping up my hopes that this will be great for real estate in Tampa and beyond.